.300 AAc Blackout subsonic 250 grain Poly jacketed, 40 rounds Discounts Apply ! Our 250 grain Polymer jacketed, subsonic bullet hits nearly as hard as a .44 Remington Magnum. With a muzzle velocity of 1,050 fps this round has muzzle energy of 590 foot/pounds energy. 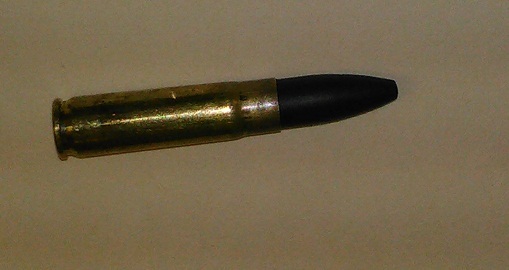 Polymer jacket has similar fouling to that of a copper jacketed bullet. It flies straight and it hits hard.